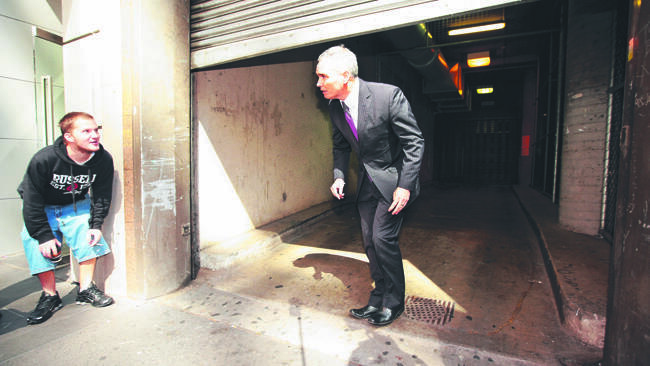 Craig Thomson: Do You Believe Him? I exercise duties as moderator. A pretty easy job right now. I have no idea about technical issues behind the site. Thanks Len. It could be me, I recently downloaded IE 11 and it jerks me around on some sites. I'll try it with Chrome next time. The court heard 79 charges of obtaining property and financial advantage by deception would consequently be dismissed. Crown prosecutors will fight that ruling in the Victorian Supreme Court later today in a bid to have the charges reinstated. Ms Taylor today said documents to put before the Supreme Court seeking a stay of the magistrate's hearing were still being finalised. It's all sounding a bit desperate. He didn't say they wouldn't, he said they hadn't. And this by the look of it is just the beginning! Yes it.will be interesting to see what the.sentence is. 12 months’ jail, with nine months suspended for two years and this, for a crime he didn't do. old news by now Icey, but what's that - you don't think he did it? The "crime he didn't do" was according to the key player. It was a tired and yet newsworthy story for a year or two, primarily on account of Pinocchio's brazen tears and the staunch defence by full-support Julia. Old news? On deaf (or a dead leftie forum's) ears, you pondered "what the.sentence" might be. Yawn. We know he was found guilty. It was a month ago. Next? How about that NSW premier? And the three Lib MPs up next at ICAC? And Georgie Brandis off his trolley about equal time for climate change deniers? Looks like it's gonna be another month before any more word from the cult.